Explore Scientific's compact FirstLight 127mm f/15 Alt-Az Maksutov-Cassegrain Telescope is ideal for users who want a portable yet powerful observation platform that is able to achieve high magnifications for detailed views of the Moon and planets and has the ability to reach out past our solar system to observe brighter deep-sky objects such as nebulae and galaxies. The Maksutov-Cassegrain optical configuration is engineered with a convex meniscus lens that not only eliminates the need for periodic collimation, but by the nature of the lens requires a smaller secondary mirror that limits obstruction and increases contrast. The Maksutov optical path results in a slower focal ratio and narrower field of view versus a similar Schmidt design, but the optical benefits make this a useful scope for planetary and double-star observation. 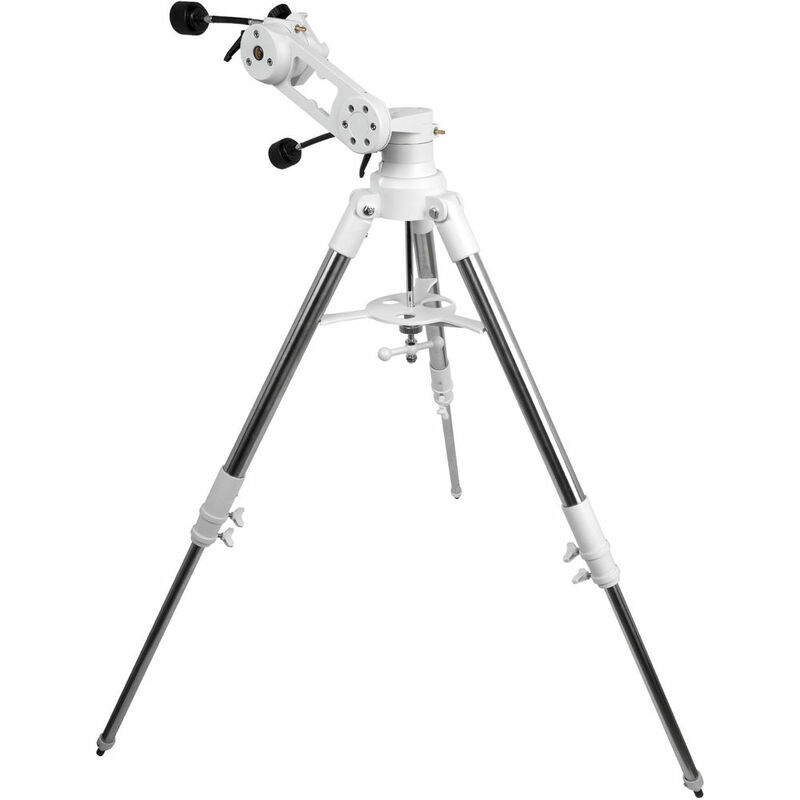 The scope features the manual Twilight I alt-azimuth mount with dual-axis control cables that allows users to track objects as they move across the night sky. Its stainless steel tripod provides a stable observation platform, and its adjustable height from 38.5 to 55.5" allows for comfortable viewing by most users. 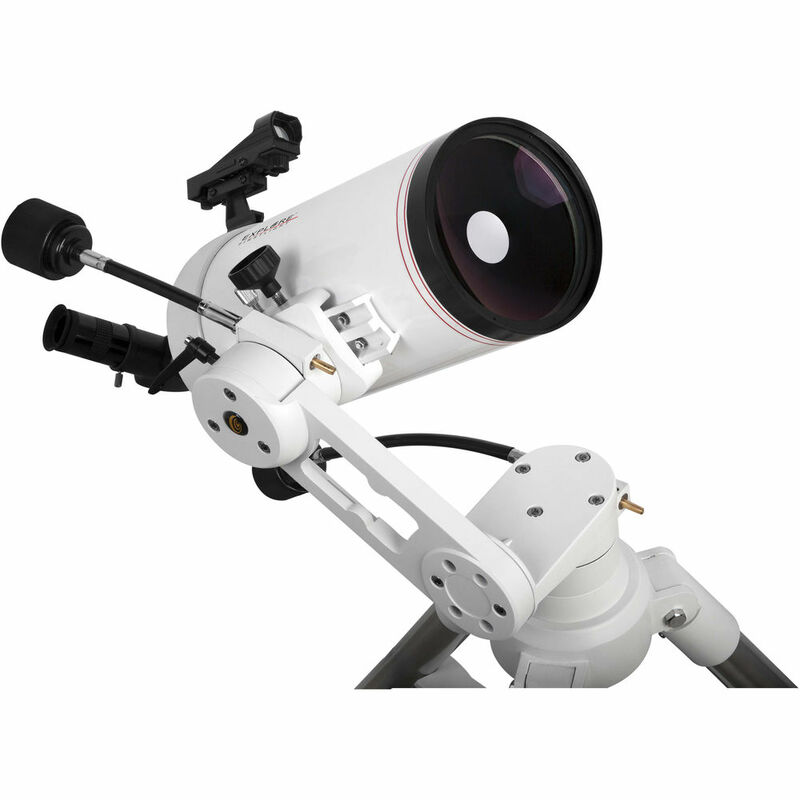 Explore Scientific includes several observational accessories including a 25mm eyepiece that yields 40x, a 90° star diagonal to put the user's head in a comfortable viewing angle, a universal smartphone eyepiece adapter for easy astrophotography, and a wide-field unmagnified red-dot finderscope.